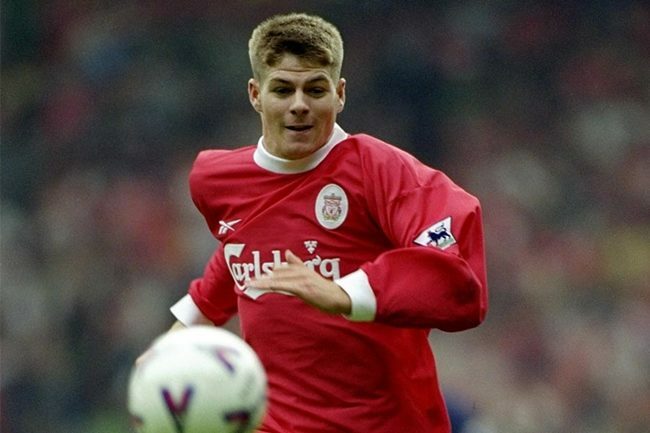 Having made his senior debut almost exactly a year previous, 19-year-old Steven Gerrard finally got off the mark for Liverpool in a 4-1 thrashing of bottom side Sheffield Wednesday in December of 1999. On what was a bitterly cold afternoon at Anfield, Gerrard – only starting due to a raft of injuries in Gerard Houllier’s midfield ranks – finally reintroduced blood to the extremities of the 40,000-odd Reds fans in attendance when the local lad from down the road went a-waltzing through the Wednesday defence to score his very first goal for the club. Definitely shades of that signature gangly barnstorming, but just the merest taste of what was to come. So many world class strikes. You tend to forget how good he really was.